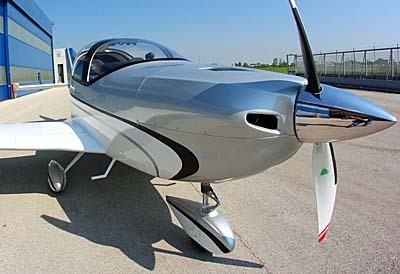 Sling is an all-metal low wing in two and four seat variations. Principal Mike Blyte (extreme right) directs South Africa's The Airplane Factory. Slings being assembled for delivery. A few of the seven hangars where Sling aircraft are packaged (as kits) or assembled ready-to-fly. The Airplane Factory's Sling 4 four seat aircraft. Welcome to summertime ... in December, just after Christmas?!? True, down under in Australia or partway around the southern hemisphere in South Africa, weather patterns are roughly opposite of those in the northern half the globe. 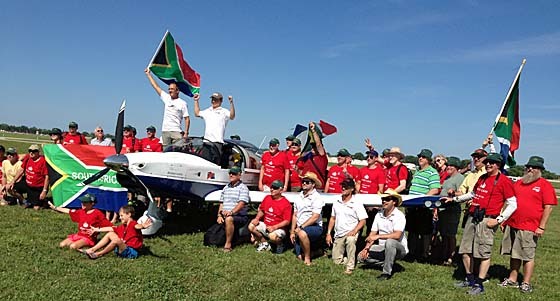 While it is presently cool or cold where many readers live, perhaps it is of interest to take a tour of a down-under manufacturer, in this case South Africa's The Airplane Factory (TAF), designer and manufacturer of the Sling series of Light-Sport Aircraft, four seat models — some built ready to fly and some kits. 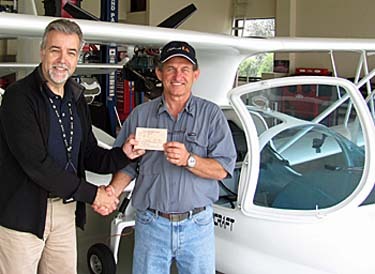 In case you may have forgotten, the two seat Sling that now qualifies as a LSA was bravely flown around the world shortly after it was introduced by partners and frequent very long distance pilots Mike Blythe and James Pitman. TAF's American representative is The Airplane Factory USA. The California-based importer's main main, Matt Litnaitzky, recently visited his supplier, snapping photos and giving us some additional insight to the organization behind the Sling series. Matt summarized, "[TAF] is really quite an impressive operation, with over 120 people working! 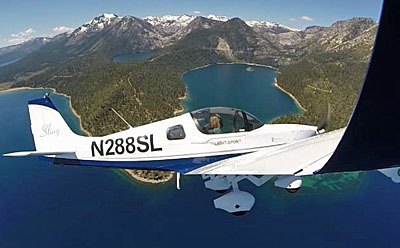 They deliver five ready-to-fly aircraft a month, a mix of Sling 2 and Sling 4 aircraft, which they can deliver ready-to-fly." 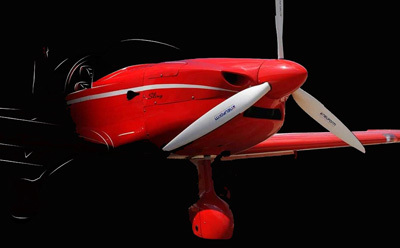 Sling 2, or simply Sling to most Americans, is the Light-Sport Aircraft version that we've seen at U.S airshows and about which I've written. 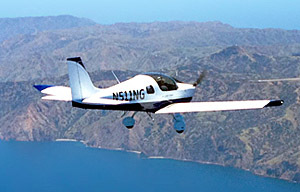 Sling 4, which has also flown long distances, is the company's four-seater. 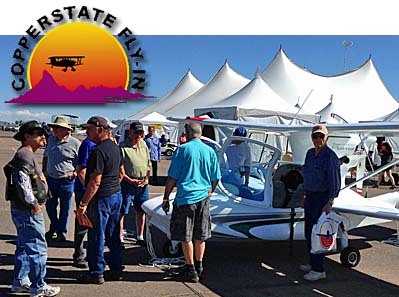 Along with a handful of other LSA two-seat aircraft manufacturers, TAF is one of those companies that are emerging into the Type Certified or kit aircraft classes with larger aircraft. 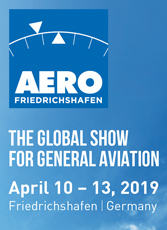 Besides following the LSA and light kit aircraft industry closely, we'll be keeping an eye on this new, potentially disruptive influence in aviation. 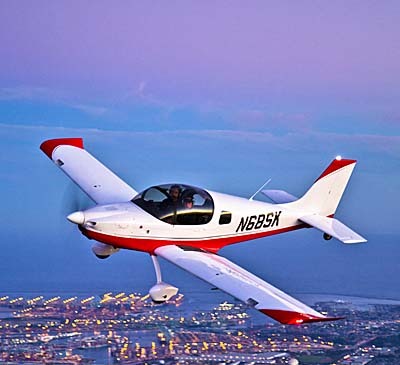 What with four seat Cessna and Cirrus aircraft pricing well beyond half a million dollars, the field appears ripe with potential for some new suppliers. More on this as it evolves. Headquartered at Tedderfield Airpark in Johannesburg, TAF occupies a series of well organized hangars. Matt wrote, "The factory takes up seven hangar rows, with [one] for each of the manufacturing steps (composite photo). The parts manufacturing hangar does punching, routing, and bending of parts, The stores hangar holds all the manufactured parts and is where kits are packed. A sub-assembly area is where fuselages, wings, fuel tanks, and empennages are assembled after aluminum components are alodyned. TAF has a composites shop, where those parts including landing gear are fabricated. Then, parts are sent to the spray shop where body work is done and parts are painted. Finally, a final assembly hangar brings all the elements together, upholstery is installed, engines hung, and avionics installed." Update 12/30/13 A few days after this article was posted, Matt provided this count: "approximately 100 airplanes flying, and over 180 total ordered, mostly in South Africa, but others in USA, Australia, Europe, and other parts of the world." When Matt returns home, he works with Ryan Ruel to prepare Slings for delivery to American customers and the pair have also been assembling a Sling from kit form. Beyond the airplane distribution — note that Matt has also been active with weight shift aircraft, or trikes — a sibling business is MGL Avionics. 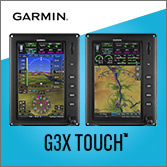 The electronics enterprise has a full line of avionics for use in any kit-built aircraft including Experimental Amateur Built (51%) kits or Experimental LSA (where the owner may add such equipment as he or she wishes after first creating a fully conforming ELSA that matches the SLSA the factory builds. (If this is not fully understood our video may help explain the difference among the alphabet-soup abbreviations.) Matt and Ryan are ambitious fellows whose work produced a solid year in 2013. Look for them at an airshow near you and take a Sling demo flight if you can; you'll get to use the MGL avionics at the same time. Welcome to summertime … in December, just after Christmas?!? True, down under in Australia or partway around the southern hemisphere in South Africa, weather patterns are roughly opposite of those in the northern half the globe. 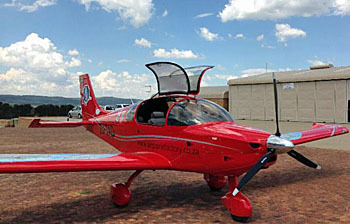 While it is presently cool or cold where many readers live, perhaps it is of interest to take a tour of a down-under manufacturer, in this case South Africa’s The Airplane Factory (TAF), designer and manufacturer of the Sling series of Light-Sport Aircraft, four seat models — some built ready to fly and some kits. 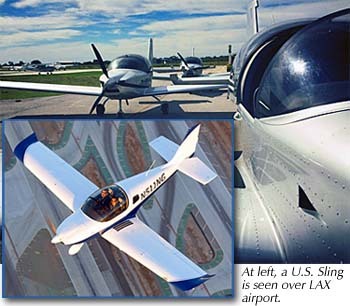 In case you may have forgotten, the two seat Sling that now qualifies as a LSA was bravely flown around the world shortly after it was introduced by partners and frequent very long distance pilots Mike Blythe and James Pitman. TAF’s American representative is The Airplane Factory USA. The California-based importer’s main main, Matt Litnaitzky, recently visited his supplier, snapping photos and giving us some additional insight to the organization behind the Sling series. Crowds gathered at Renegade's new facility. Kids and adult kids enjoyed good food and spacious surroundings with several airplanes to examine and a full motion simulator to try. Several Florida airports have been active during the recession in their efforts to pull new clients. We reported earlier such projects but went to visit one of these over the last weekend. 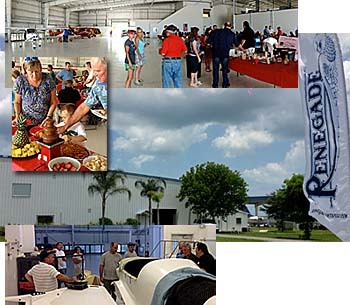 Renegade Light Sport Aircraft had an open house staged in their gargantuan 71,000 square foot hangar and offices on the Fort Pierce airport. Perhaps 200 attended and enjoyed proprietor Doc' Bailey's expertise with the barbecue grill. Certainly the facility is mighty impressive as a base of operations. Besides vast square footage, climate controlled work areas are available as is a paint booth and drying kiln. Renegade will be some time filling this large space but Doc' reported a very special price offer with owner financing that compelled him to move from rented facilities in Missouri. Meanwhile we reviewed projects for the Lil' Rascal carbon fiber version of the Pitts S1 to plans for the first all-American-built Falcon. 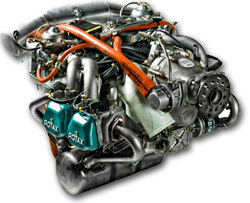 Several crates with Lycoming O-233 engines were no surprise as that's been a focus of this ambitious outfit. Best of luck in their hefty new quarters to Renegade. As we flew to Fort Pierce (south of Vero Beach, home to Piper ... a fact made obvious by a giant "Piper" logo atop the large hangar), we also flew by Melborne, Florida. This location is home to PhoenixAir USA and boss Jim Lee. He was pleased to report to us that his sleek motorglider "won the Sun n Fun Best Commercial LSA award this year." Jim also said his steady sales "have continued post-show, with three sales coming from folks we flew with at Sun 'n Fun!" Along with many others who exhibited or operated in the upgraded location, Jim added, "The Paradise City area was great, and the ability to fly during the show was invaluable." At Sun 'n Fun and again at Aero, I heard from many manufacturers or sellers that business in 2013 is already better than in all of 2012. Many attribute this to a rising stock market and home prices on the increase. Everyone was cautious about his trend continuing but when buyers' assets are growing a willingness to invest in new airplanes appears to follow. My collaborator at Lightsport and Ultralight Flyer continues a furious pace of posting new videos from Sun 'n Fun and Aero. 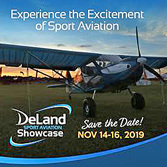 You can now view seven new movies including our productions for Randall Fishman's ULS electric motorglider; news about a Rotax warranty offer; the Sam LS after its test flight; Renegade's Lil' Rascal project; the world-girdling, cross-country-flying Sling from The Airplane Factory; the ever-charming and extremely well priced Aerolite 103; and, a preview of the Midwest LSA Expo for 2013. Enjoy! 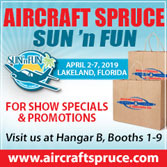 Watch for many more videos still to come from Sun 'n Fun and Aero on our LSA Videos page. All videos are provided without cost. Several Florida airports have been active during the recession in their efforts to pull new clients. We reported earlier such projects but went to visit one of these over the last weekend. 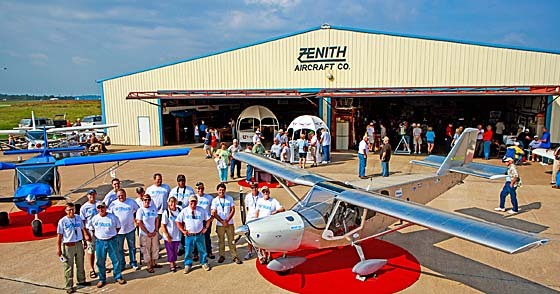 Renegade Light Sport Aircraft had an open house staged in their gargantuan 71,000 square foot hangar and offices on the Fort Pierce airport. Perhaps 200 attended and enjoyed proprietor Doc’ Bailey’s expertise with the barbecue grill. Certainly the facility is mighty impressive as a base of operations. Besides vast square footage, climate controlled work areas are available as is a paint booth and drying kiln. Renegade will be some time filling this large space but Doc’ reported a very special price offer with owner financing that compelled him to move from rented facilities in Missouri. Meanwhile we reviewed projects for the Lil’ Rascal carbon fiber version of the Pitts S1 to plans for the first all-American-built Falcon. Sling flies over the busy LAX airport which most can recognize from its distinctive restaurant on stilts. Photo by Aaron Gautschi (website). Tecnam Twin is flown in the opening of the Paralympics by Lance Corporal Dave Rawlins (a British Army soldier recovering from injuries sustained in Afghanistan) and Tim Orchard, Tecnam's dealer for the UK, Ireland and Iceland. Another busy week finished a very active August that has seen high readership... for which we sincerely thank you. Following are some brief news stories in the LSA space. *** ROTAX "EMERGENCY AD?" Aviation media was all over the Rotax "Emergency AD" story, but is that entirely accurate? Aren't LSA subject to manufacturer-issued SBs or Service Bulletins rather than Airworthiness Directives, which are normally issued by FAA for certified aircraft? Well, "yes," said Rotax expert Phil Lockwood. He explained that the matter in question — some fuel lines that need to be replaced — was a result of a vendor change bringing some incorrect components. 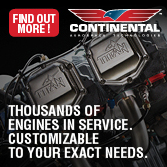 "Rotax issued a Service Bulletin last spring on this subject," Phil added. 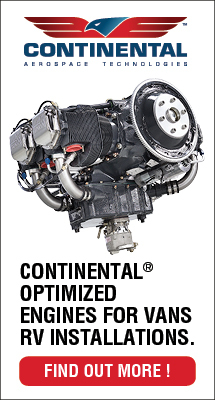 The so-called "emergency AD" was triggered by an EASA issuance primarily for certified Rotax engines in Europe. Rotax BRP is a very careful company that is quick to correct problems and this was something of delayed reaction that again appears to show the certified world may not respond as quickly as the LSA sector. *** WILLFORD'S EDUCATIONAL THORP He's known for his leadership of the ASTM committee and more widely as the lead designer of Cessna's Skycatcher, but Neal Willford has been busy on another project in his spare time. He reported, "After 10 years of on and off building effort, I finally finished my Thorp Skyscooter and I made the first flight [August 28th]. The flight went well, and took place at Stearman Field in Benton, Kansas, a great small airport near Wichita." Neal continued, "The FAA allows amateur aircraft building for 'educational or recreation' purposes. I would have to agree that it was quite an education — from airframe to systems to electrical, etc. 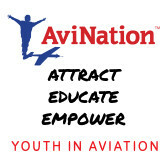 — an education that helped me leading the Cessna Light-Sport Proof of Concept and Skycatcher development programs. I am glad we have that privilege in this country." He concluded, and you can see the smile for yourself, "Anyway, it is nice to have finally finished it and now have the opportunity to fly it instead of just working on it!" Go, Neal! *** LSA ABOVE AIRLINERS I'm hard at work on a pilot report as one a few journalists that got to fly one of the newest of all Light-Sport Aircraft, the South African Sling. That airplane distinguished itself by bravely going for a west-to-east round-the-world flight shortly after completing its test series. Sling is also part of a coming family of aircraft, two seats, four seats, and more. In the nearby photo by Aaron Gautschi, Slng is flown over the main Los Angeles airport by Matt Liknaitzky and Ryan Ruel. A north-south VFR corridor goes perhaps counterintuitively but wisely right over the busy airfield, so, yes, this was a legal flight. *** EXEMPTION REQUEST ACTIONS As most ByDanJohnson.com readers know, Icon Aircraft requested a higher weight exemption to 1,680 pounds. FAA recently announced that a decision about the exemption request will have to wait until the end of 2012. AOPA writer Al Marsh wrote, "Icon seeks that this exemption allow the increased gross-weight Icon A5 to be flown by Sport Pilot [certificate holders] and maintained by LSA repairman like any other SLSA." Al also noted that I-Tec, which recently obtained an exemption to operate at 1,430 pounds, was limited to operation only by Private ticket holders. The company has more recently asked the FAA to allow Sport Pilots to fly the Maverick at the higher weight of 1,430 pounds. 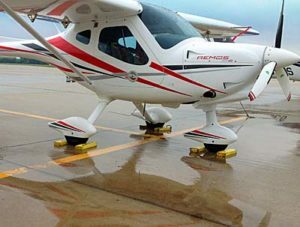 Thankfully, along with Cessna (which is moving to Primary Category), neither company wants leave out the easiest-to-get Sport Pilot certificate. *** NEW LSA AMPHIBIANS Recently I got an information request call from a Florida business that is working toward a new LSA amphibian. The company, which preferred not to be identified yet, has strong credentials in the world of Experimental Amateur-Built kits and is taking aim at the seaplane segment. They aren't the only ones. A company in Finland has been flying their wood-structure Atol for 20 years and according to a representative, "We are also seeking approval to market our LSA in the USA soon." They believe, "Our project should be interesting to customers who are seeking a modern and reasonably priced amphibian." Likewise, the already-popular SeaRey is also closing on its work to declare compliance for its first SLSA model. Apparently, we'll have no shortage of LSA seaplanes and how could that possibly be a bad thing? 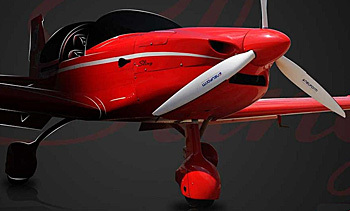 *** OPENING ACT Though Tecnam's Twin isn't a Light-Sport, it is a derivative of the breed. And it made quite a sensation at the opening of the Paralympics in London. A specially tricked out Twin featured blue LED strip lights on the fuselage and sparkling pyrotechnics on the wing tips to create a stunning night flight visual. You'll see it pop up in all sorts of media outlets I predict and good for Tecnam. The glowing Twin was flown by a disabled soldier who won his license thanks to support from UK-based charity Aerobility that has since 1993 helped disabled people learn to fly. 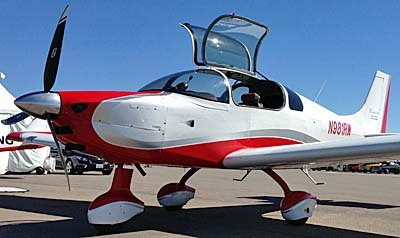 Though Tecnam's Twin may not be an LSA, this company has more models than almost any other Light-Sport producer (Tecnam is tied with Pipistrel at five SLSA models). Another busy week finished a very active August that has seen high readership… for which we sincerely thank you. Following are some brief news stories in the LSA space. *** ROTAX “EMERGENCY AD?” Aviation media was all over the Rotax “Emergency AD” story, but is that entirely accurate? Aren’t LSA subject to manufacturer-issued SBs or Service Bulletins rather than Airworthiness Directives, which are normally issued by FAA for certified aircraft? Well, “yes,” said Rotax expert Phil Lockwood. He explained that the matter in question — some fuel lines that need to be replaced — was a result of a vendor change bringing some incorrect components. 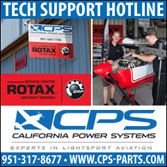 “Rotax issued a Service Bulletin last spring on this subject,” Phil added. 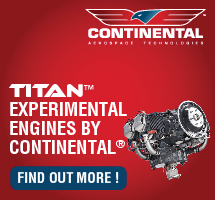 The so-called “emergency AD” was triggered by an EASA issuance primarily for certified Rotax engines in Europe. Rotax BRP is a very careful company that is quick to correct problems and this was something of delayed reaction that again appears to show the certified world may not respond as quickly as the LSA sector. The Airplane Factory Sling is the newest SLSA but flies like one thoroughly developed. Sling is an all-metal construction designed in South Africa. This particular Sling is loaded with the MGL Avionics suite plus back-up analog airspeed and altimeter. Matt Liknaitzky (R) flew to Camarillo airport with associate Ryan Ruel. 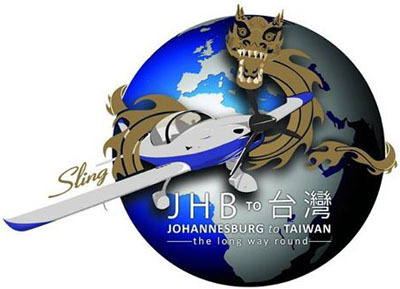 *** While out west on business travel I had the chance to fly the latest SLSA on the List, the South African Sling. Earlier I’ve written about the all metal LSA’s round-the-world flight but now this low wing design is being made available for sale to Americans. *** On a gorgeous Southern California day, Matt Litnaitzky and his associate Ryan Ruel took a 25-minute jaunt from the Torrence airport to the Camarillo Airport in Ventura. (This compares marvelously to a good hour and a half drive on the seemingly endless and always crowded L.A. freeway system.) Ryan cooled his jets in the Waypoint Cafe while Matt and I went aloft in silky smooth air to see how Sling turned out. In a word: beautifully. *** Handling on the newest LSA is clearly the product of careful engineering and a patient development schedule. Off to see the world... all of it! 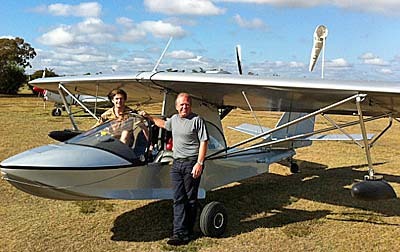 Mike Blyth (on right) and James Pitman will fly their new D6 Sling around the world, stopping at Oshkosh. Come see Mike, James and their Sling in the LSA Mall if you're headed to AirVenture. Normally I don't write about record attempts or exceptional flights until they are completed and even then only if they are significant. Too many grand voyages end prematurely. But I've known Mike Blyth for decades and he's already accomplished several daring flights. For example, his South to South expedition went from the southern tip of South America up through the USA across the Atlantic through Europe and back down to South Africa, all in weight-shift trikes. Plus they made a very watchable movie from this large experience. So, if Mike says he is launching Around the World Expedition 2009 with a stop at Oshkosh on the way, we need to pay attention. 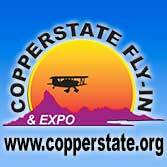 Mike and his business partner James Pitman leave South Africa on July 17th and AirVenture begins the 27th. So, throttle up, boys! *** The trip is unusual in a few ways. One, their Sling LSA -- from the business the two aviators co-own, called The Airplane Factory -- has just completed flight testing. Secondly, this flight will take place near the equator requiring some very long legs over water. Thirdly, they will go west around the globe; most go east. *** The duo will make their 28,195-mile flight in the brand new D6 Sling, except they say they've modified this airplane to hold 118 gallons of fuel (about 24 hours worth!). A regular Sling will carry 29 gallons of fuel. Cruising at about 115 knots, they'll have to log more than 200 hours to get back home. Normally I don’t write about record attempts or exceptional flights until they are completed and even then only if they are significant. Too many grand voyages end prematurely. But I’ve known Mike Blyth for decades and he’s already accomplished several daring flights. For example, his South to South expedition went from the southern tip of South America up through the USA across the Atlantic through Europe and back down to South Africa, all in weight-shift trikes. Plus they made a very watchable movie from this large experience. So, if Mike says he is launching Around the World Expedition 2009 with a stop at Oshkosh on the way, we need to pay attention. 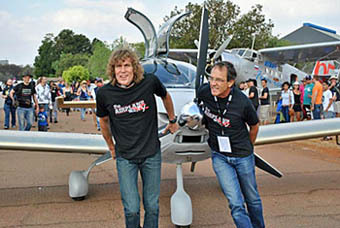 Mike and his business partner James Pitman leave South Africa on July 17th and AirVenture begins the 27th. So, throttle up, boys! *** The trip is unusual in a few ways. One, their Sling LSA — from the business the two aviators co-own, called The Airplane Factory — has just completed flight testing.